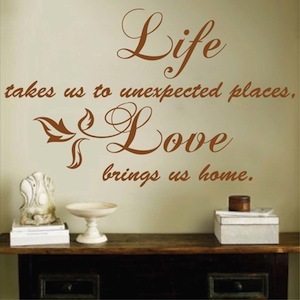 Life takes us to unexpected places Wall Decal, Love brings us home. This wall decal is amazing for any space. 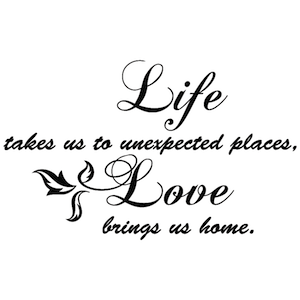 Life takes us to unexpected places, Love brings us home. I love my wall decal! 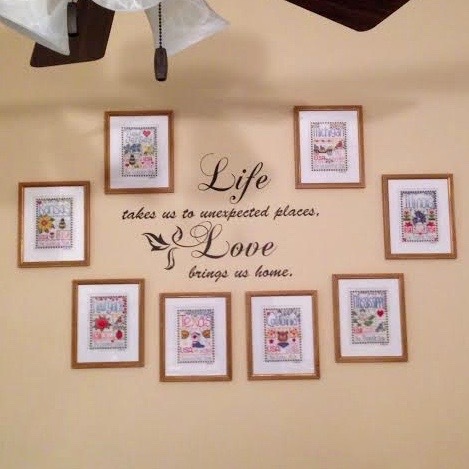 What an easy-to-apply, unique, clever way to decorate, and the words were so perfect for what I wanted - to display the cross stitch pictures our daughter made for us highlighting all the states our family members have lived in.